Studies show that requests for payday loans have shot up 20 times over during the last decade, and it's clearly becoming a big problem. Household financial problems are a fact of life here, and it’s not uncommon for Australians to find themselves living paycheque to paycheque on a regular basis. 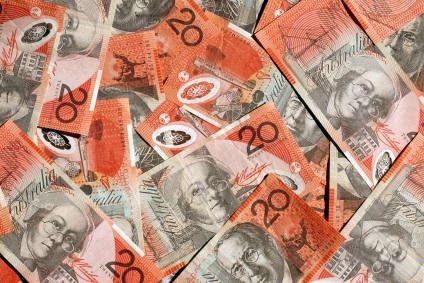 According to statistics, 23.5% of all Australian households were undergoing financial problems in 2005 – but that has leapt in the intervening decade to almost 32% by 2015. With problems like these, it’s unsurprising that many people have to turn to the short-term, high-interest finance options known as payday loans. Studies show that requests for payday loans have shot up 20 times over during the last decade, and it’s clearly becoming a big problem. This article will explain where the problems with payday lenders lie – and how to resolve them. Put simply, a payday loan is credit designed to cover a person’s expenses until they receive their next paycheque. In theory, at least, providers of payday loans are offering a good service by helping people keep their budgets balanced until the next wage comes around or to cover an unexpected expenditure that their monthly income cannot. But there’s a more sinister side to payday loans, and this lies primarily in the high interest that these providers charge. Some Australian payday lenders charge fees that can be described only as eye-watering: according to ABC News, the total interest can sometimes reach even 36%. Given that those who turn to payday loans are often doing so out of desperation, providers are able to hike up the price of the credit – and potentially leave borrowers stuck in a debt repayment vortex. The first problem, of course, is the high interest rate that many payday lenders charge. Even someone borrowing just $100 could find themselves paying tens of dollars back in interest – and for a person on an income low enough to need a payday loan in the first place, that could be a significant chunk out of their next pay packet. But there are other problems. Often, the loans are strategically arranged so that the day when the cash is due back to the lender is also the day that salaries or other incomings hit the borrower’s bank account. This creates a cycle of dependency on the payday lender, as it means the borrower ends up requiring even more credit. While there have been attempts in recent years by campaigners to ask payday lenders to be more responsible and also to educate consumers, the sad reality is that both demand and supply of this kind of credit persists. As a result, the focus of many anti-payday loan campaigners is now on regulation, and specifically on the long arm of the law. At the end of 2016, the government said it would bring about changes to the industry. In fact, an early version of a bill was published. However, the bill never reached Parliament – in part because of a payday lending lobby which counts powerful backbench parliamentarians among its friends. Later in the process, the government said that it would bring a bill to Parliament by April of this year, but that ultimately didn’t occur either, leaving the anti-payday loan campaigners in limbo. The fight to regulate these loans does go on, however, and all sorts of organisations have been coming up with potential solutions to the problem. An opinion piece published on the ABC News site, for example, called for the government to institute a state-run emergency loan scheme to compete with the payday lenders. With the cost of living so high and households everywhere in financial distress, it’s easy to see why payday lending has become so widespread. However, these loans are full of problems – especially for low earners. Whether the solution is more regulation, better financial education or even a state-run alternative, it’s clear that something needs to be done.